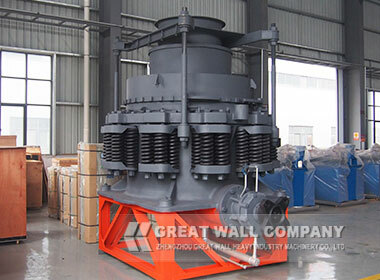 The cone crusher for sale is widely used for secondary and fine crushing in the fields of mining, chemical industry, building materials, metallurgy and so on.Secondary cone crusher can crush materials with Moh’s scale in middle and high hardness such as ironstone, copper ore, limestone, quartz, granite, rock and so on which is also called iron ore crusher,copper ore crusher,quartz crusher.Great Wall cone crusher consists of mobile cone crusher,spring cone crusher,high efficint crusher and hydraulic cone crusher. 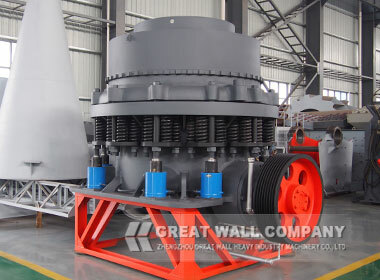 When the mini cone crusher is working, the motor drives the eccentric bearing bushing via spring coupling, transmission shaft and a couple of cone gear wheel. 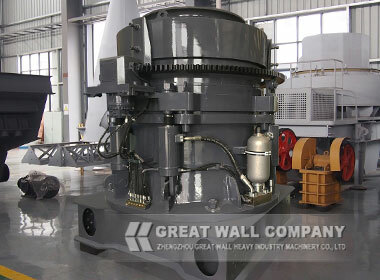 The crushing cone axis is forced to swing by the eccentric bearing bushing, which makes the mantle close to the bowl liner and far away from the bowl liner from time to time. The raw materials are pressed, impacted and finally crushed in the crushing cavity. 3.Dilute petrol stations for continuous lubrication to reduce downtime maintenance time. 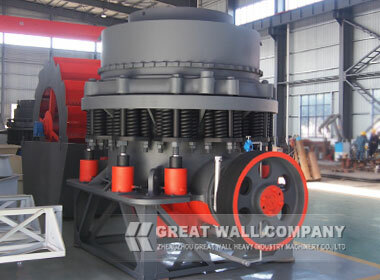 Cone crusher is mainly used for coal secondary crushing,limestone fine crushing,aggregate crushing,marble,granite,river stone,river pebble and so on.